New mom Kylie Jenner may have gone through a lot of life changes within the past year, but one thing has remained consistent: her love for athleisure wear. 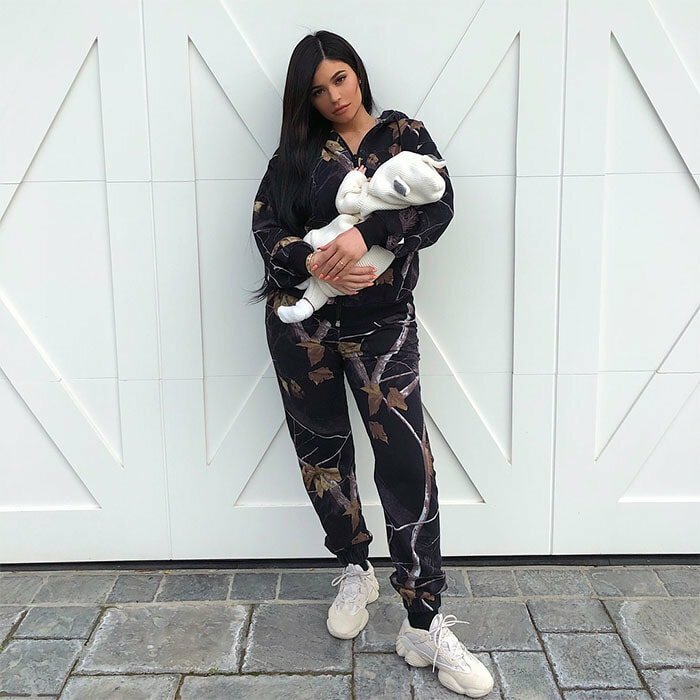 The 20-year-old lip kit creator debuted her first mommy-and-me pic with her baby Stormi on Instagram, for which she wore a comfortable Alexander Wang “Winter Camo” zip hoodie and matching pants paired with Yeezy 500 sneakers in blush. She completed her look with coral square nails, diamond earrings and a fully made-up face. Baby Stormi, who turned one-month-old on March 1, was cozily bundled up in a cream waffle-knit onesie with cute gray ears on the attached hood. Kylie Jenner’s Instagram post of her cradling her one-month-old baby daughter Stormi, posted on March 1, 2018. We previously spotted the same Yeezy sneakers on Paris Hilton, who wore them to transform herself into a Kim Kardashian clone. 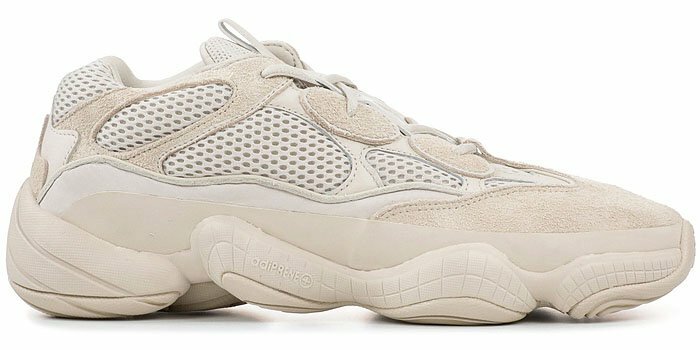 The Adidas Yeezy 500 aka the Yeezy “Desert Rat 500” sneakers feature suede, leather, mesh and nubuck on the uppers, and utilizes Adidas‘ shock absorption Adiprene+ technology instead of the old Boost design. 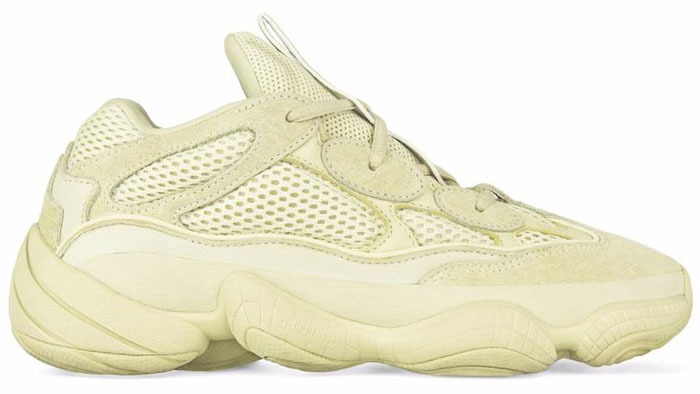 With the sneakers’ bulky style and bulbous rubber soles, we think they’d fit right in with the Balenciaga and Dior trainers in the dad sneaker trend. Does Kylie Jenner’s recent Adidas and Yeezy kick mean that she’s turning her back on her Puma endorsement? The youngest Kardashian-Jenner sister was named the face of Puma back in 2016, which then caused controversy among the running community because they’d much rather have a real athlete as a model rather than a reality TV star. In the meantime, Rihanna, Selena Gomez and Cara Delevingne continue to model in Puma’s latest sneaker campaigns. Kylie Jenner starring in PUMA’s ad campaign for the Swan Pack collection launched in Spring/Summer 2017. Kylie Jenner in the 2016 PUMA ad campaign for the PUMA “Fierce KRM” trainers featuring a lace-less style, slip-on construction, and a high, extended tongue.